Seez Mics “Cruel Fuel” available September 23 2014 on Crushkill Recordings. Pre-order "Cruel Fuel" on Bandcamp or iTunes here. 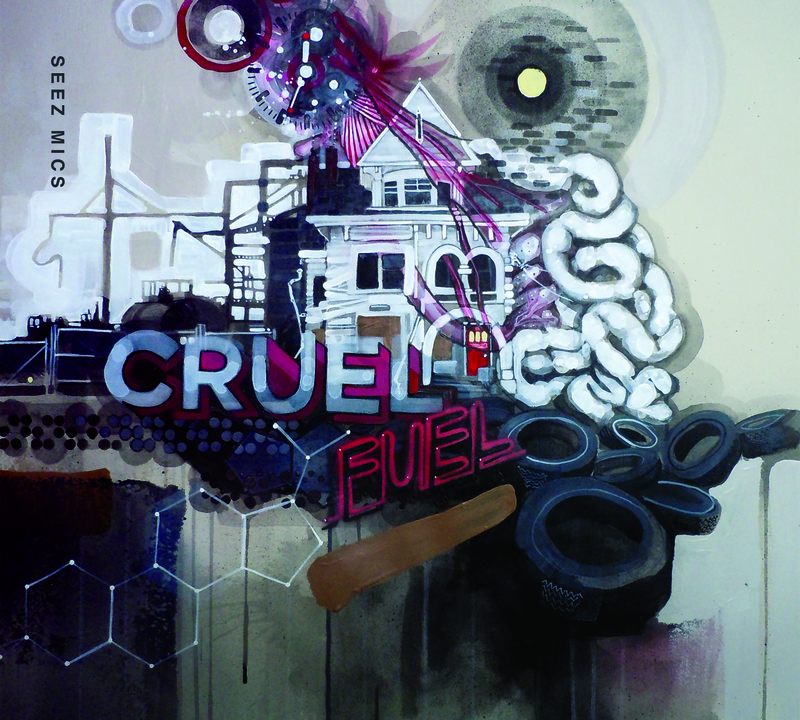 The new Seez Mics album “Cruel Fuel” will be available via Crushkill Recordings on September 23 2014. “Cruel Fuel” features production by beat-box extraordinaire Max Bent as well as appearances by DJ Abilities and KRISTOFF KRANE. The first 50 pre-orders via Bandcamp will receive an autographed “Cruel Fuel” CD, cassette, poster, and sing-along lyrics booklet. Please rate the album and leave a review on iTunes because it goes a long way to making me rich and famous. (Seriously, it really helps.) The first 20 people to let me know they rated and reviewed the album using this contact form will receive an autographed “Cruel Fuel” poster and sing-along lyrics booklet.